A new tablet the 'iPad Air' was revealed, it is thinner and lighter than the original 'iPad'. It only weighs 1 pound where the previous version weighs 1.4 pounds. It is also 8 times faster than the first iPad released in 2010. The 16 GB model will sell for $499. 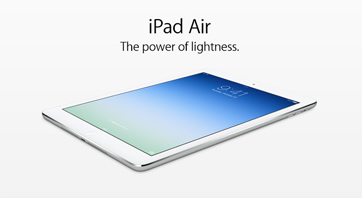 The 64-bit chip in the 'iPad Air' makes it the most powerful tablet currently on the market. Cheaper rivals running Google Inc.'s Android operating system have caused the iPads market share to erode. Two years ago iPad held 65 percent of the market share and Android tablets had 30 percent, now it is predicted that Android will have 50 percent while iPad will only have 49. 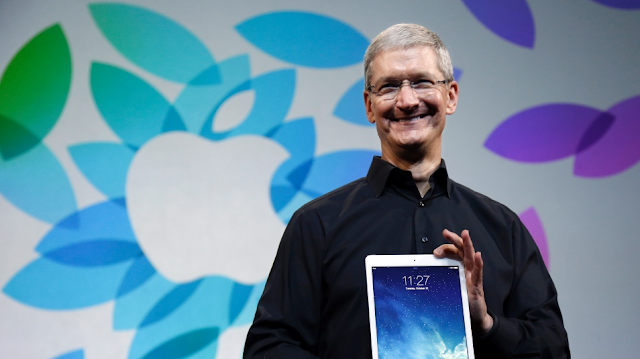 During the June quarter Apple sold 14.6 million iPads which was 14 percent less than that quarter the year before. Apple hopes that the release of the 'iPad Air' will increase tablet sales, in order to compete with Google.